Magistrates have taken sympathy on an injured former soldier who illegally claimed nearly £6,000 in benefits. 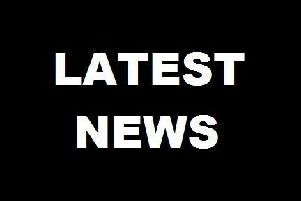 Chesterfield magistrates’ court heard on Wednesday, April 4, how Daniel James Dyer, failed to notify Bolsover District Council and the Department for Work and Pensions that he was working when he claimed housing benefit and Employment Support Allowance. Prosecuting solicitor Becky Allsop said: “He was entitled to housing benefit and ESA following a claim in September, 2012, in that he was unfit for work and he had no income. Mrs Allsop added that a calculation showed the case involved an illegal over-payment of £5,947.36. Dyer, of Sookholme Road, Shirebrook, stated during interviews that his work was initially unpaid employment and he was on a trial period but when he was shown proof of earnings he accepted he had not declared that he had been working. He pleaded guilty to failing to notify the council between December, 2015, and July, 2016, of a change affecting his entitlement to housing benefit. Dyer, who is of previous good character, also admitted failing to notify the DWP of a change affecting his entitlement to ESA between December, 2015, and July 2016. Defence solicitor Ben Strelley said: “It is right to say he made a claim in 2012 and at that point he was discharged from the Army and had served 15 years and he was in the special forces. Mr Strelley added that Dyer has also been diagnosed with post-traumatic stress disorder and he has struggled to come to terms with the real world. Dyer’s mother also passed away in 2016, according to Mr Strelley, and he had wanted to pay for her funeral so he secured a zero-hours employment contract. Mr Strelley said that an arrangement has already been struck for a significant deduction to be made from his existing benefits to pay off the illegally claimed funds. Magistrates sentenced Dyer to a 12 month conditional discharge and ordered him to pay £85 costs and a £20 victim surcharge.